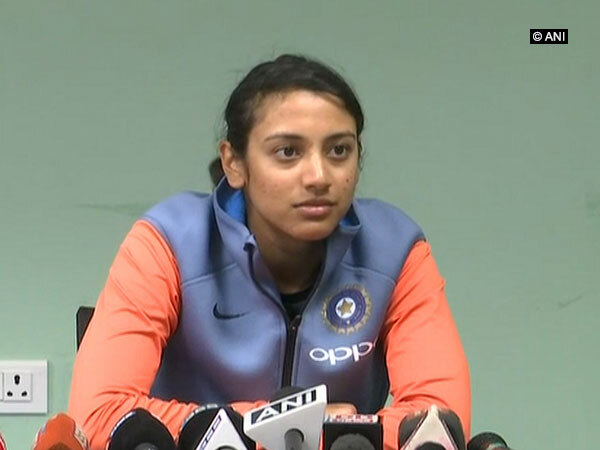 Guwahati(Assam), [India], Mar 03 (ANI): Smriti Mandhana, who is set to lead the India Women's cricket team after injured captain Harmanpreet Kaur was ruled out of the T20I campaign against England, says the captaincy would not need her to make many changes in her preparation. Kolkata (West Bengal) [India], Jan 19 (ANI): National Conference (NC) leader Farooq Abdullah said opposition leaders must not give thought to their individual prospects of becoming the next Prime Minister, rather fight collectively against the BJP in the upcoming Lok Sabha elections. Washington D.C. [USA], Jan 18 (ANI): Two months since former First Lady Michelle Obama's Becoming hit the stands; it has become the most sold book on Amazon across all formats for 47 consecutive days. New Delhi [Pakistan], Jan 7 (ANI): Pakistan Prime Minister and former cricketer Imran Khan on Tuesday heaped praises on the Indian cricket team for becoming the first Asian team to win a Test series on Australian soil. Pune (Maharashtra), [India], Dec 18 (ANI): Metro is becoming the lifeline of cities in the country, said Prime Minister Narendra Modi while laying a foundation stone for the third phase of the Pune Metro rail on Tuesday. New Delhi [India], Dec 16 (ANI): Making his 'Koffee' debut with today's episode, Ayushmann Khurrana revealed that he had stopped watching "Koffee with Karan" because he wasn't getting invited to it. Paris [France], Nov 10 (ANI): Vice President Venkaiah Naidu opined that India, with a current growth rate of 8.2 per cent, is inching closer towards becoming a USD 5 trillion economy by the year 2025. Washington, DC, [USA] Oct 31 (ANI): According to a new study becoming more sensitive to pain, or pain sensitization, is an important risk factor for developing persistent knee pain in osteoarthritis.